Liverpool ace Mohamed Salah recently won the FIFA Puskas award for his derby goal against Everton in December 2017. Now, it looks like the Egyptian is going for a second accolade after his incredible goal for Egypt in their Africa Cup of Nations game against Swaziland. The Pharaohs were already three goals ahead a minute before half-time when Salah stepped up to take a corner in the 44th minute. The 26-year-old forward shot in a brilliant set-piece which went on to be Egypt's fourth goal in their comfortable 4-1 win. The goal marked his first since his tap-in against Southampton on September 22 and has now been deemed to be a Goal of the Year contender. However, Salah could not play for the entirety of the game as he was seen limping off the pitch in the last few minutes, much to the dismay of Liverpool and Egypt fans. The Egyptian is suspected to have sustained a groin injury. Fortunately, Egypt assistant Hany Ramzy eased off fears of an injury after the game, insisting that it was not a big injury. Speaking to yallakora.com, he said, "The initial diagnosis confirmed that the injury is a muscle strain and there is no possibility of muscle rupture." "The player needs to have radiation to determine the injury and the duration of his absence." "It is not a big injury, we support him with all our energy and we hope he will return without being affected by an injury as soon as possible." 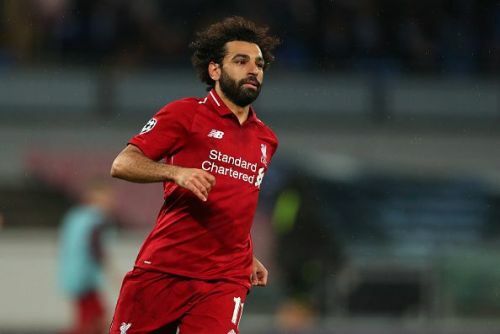 Former Liverpool striker Robbie Fowler has defended the Egyptian's form in recent games saying, "I’m not saying he’s having a bad year so far." "He’s still a good player, he’s still an excellent player but to replicate what he did last year will be unbelievable." "I think he’ll still score goals, I think he’ll still score a lot of goals." "What I like about Mo Salah is that his work ethic is brilliant, he doesn’t shy away from anything." "What I would be more worried about is if he wasn’t getting chances." "He will bang the goals in. I’m not sure he’ll hit the heights he did last year but he is still a magnificent player." "He will still be a danger throughout the Premier League [season]." Salah has now broken his mini-goal drought and fans have been thrilled with the way he did it. Mohammad Salah just scored a goal from a Direct CORNER KICK!!! Salah has just scored form a corner kick.. What a way to silence your doubters..